Summary: A prototype demonstrating new search engine paradigm survives its first week and demonstrates viability of user-determined relevancy rankings. Upstart search engine Jatalla.com, after rolling out a prototype of its unusual approach to relevancy ranking, survived its initial week without major mishaps. Jatalla is the first Web search engine to offer relevancy rankings performed strictly by living human beings rather than computers. Response from the user community—particularly experienced wiki users—has exceeded the hopes of the search engine creators. In some cases, dozens of lexivotes have been cast by a single account holder, establishing a pace which, if continued, could establish a lexivote-based system as a viable competitor in the search engine market within twelve to twenty-four months. “If a sample size this small can do as well as this group has done, the lexivote model works even better than we had hoped,” the representative continued. Through Jatalla.com, any World Wide Web user can cast a “lexivote”, which consists of two parts: (i) a word or phrase and (ii) at least one URL. Thereafter, when a search query is submitted, all lexivotes matching the search query are counted, and the URLs in those matching lexivotes are then ranked according to the number of lexivotes they’ve received. Early critics of Jatalla have almost universally focused on the risk of spam, one doomsayer going so far as to predict a “Spamfest.” However, the combination of (i) a search-specific spam report button and (ii) a basic test to make sure that a human is submitting each lexivote has rendered spam a non-issue up to this point. “It’s amazing how people, when given the power and responsibility of making a system work, will rise to the challenge,” the representative summarized. People who would like to begin lexivoting for their favorite sites can visit http://www.jatalla.com. Summary: Prototype for the Web’s first search engine providing 100% user-generated search relevance rankings becomes available to public available; users themselves—not computers—to determine which results are most relevant to a search query. Jatalla, the first Web search engine to deliver 100% user-generated relevance rankings, has been made available today in prototype form at http://www.jatalla.com. 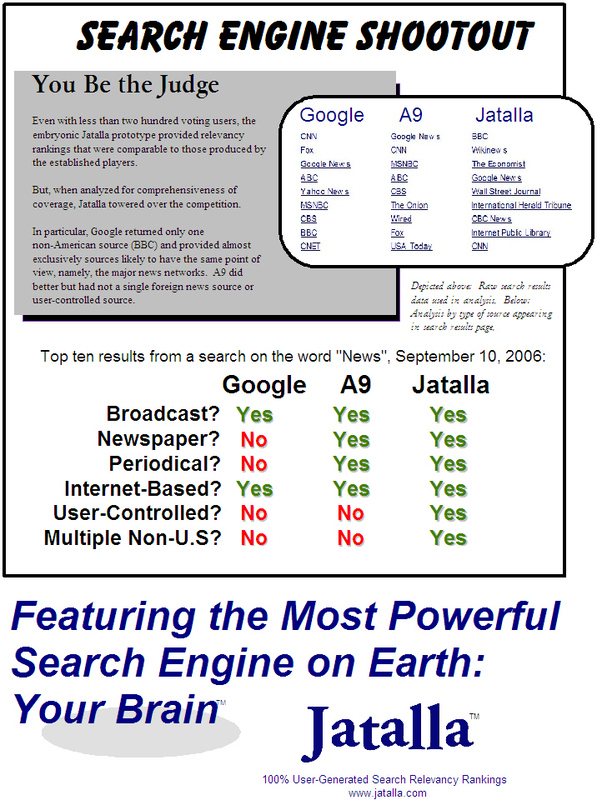 Unlike conventional search engines, which rely upon automated webcrawlers and computer analysis, Jatalla provides search results derived from rankings performed by actual, living human beings. Through Jatalla, any World Wide Web user can cast a “lexivote”, which consists of two parts: (i) a word or phrase and (ii) at least one URL. Thereafter, when a search query is submitted, all lexivotes matching the search query are counted, and associated URLs are ranked according to the number of lexivotes they receive. Drawing upon the collective intelligence of an entire planet’s human minds, Jatalla.com has —at least in theory—exponentially more processing power than any other search engine. But the creators of the site are the first to admit that their biggest challenge is to grab those first few users. Toward that end, the Jatalla prototype is quite simple, providing only core functions, like search and lexivote submission. However, the Jatalla support blog, hosted by WordPress, indicates that more complex features will arrive when formal launch takes place. Nonetheless, visitors find the simplicity of the site refreshing, particularly the absence of advertisements and other clutter. 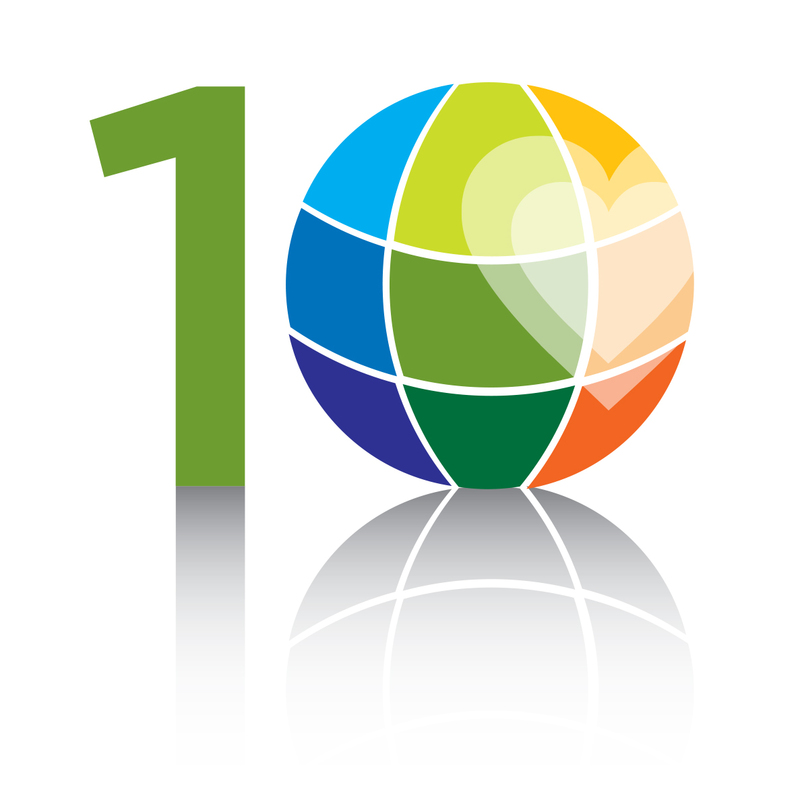 Announcement of the lexivote ranking methodology in June, 2006, created an international buzz within the industry. But the new prototype represents the first time that anyone has gotten to test drive a lexivote-based search engine. People who would like to try the new paradigm in search technology can visit http://www.jatalla.com and begin casting their own lexivotes.